1900 Bordeaux Wine Vintage Summary with harvest information, vintage characteristics, buying tips and links. 1900 Bordeaux remains a legendary Bordeaux vintage. It followed the superlative 1899 Bordeaux vintage, which allows for a modern day comparison with 1989 and 1990 Bordeaux or 2009 and 2010 Bordeaux. 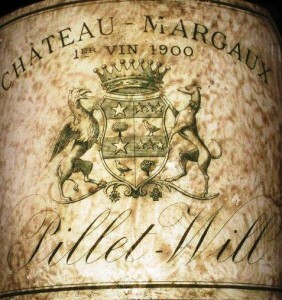 1900 Bordeaux wines were of extraordinary and perhaps unequaled quality in its day. 1900 Bordeaux marked a year of change. At the time, America had only 46 states with a population of 76 million citizens and only 8,000 cars. Average wages were close to $13 for a 60 hour work week! Long distance phone service was just being introduced. Prime beef was 10 cents a pound and First Growth Bordeaux was selling for under a dollar. Even thought $1 was a lot of money for a bottle of wine in those days, that sure looks like a good deal! William McKinley was President. Baseball, America’s most popular sport had just introduced the American league. While all that was going on, in 1900 Bordeaux experienced a monumental harvest, the second in a row. Following on the heels of the stunning 1899 Bordeaux vintage, 1900 Bordeaux was the product of a perfect growing season from start to finish. 1900 Bordeaux was also an extremely large harvest. The summer was hot. It was even warmer than what they experienced in the 1899. The 1900 Bordeaux growing season was everything a wine maker could ask for in the vineyards. It’s said all the Bordeaux appellations enjoyed a successful harvest. The Medoc, Graves, St. Emilion and Pomerol all produced outstanding wine! Aside from back to back, high quality Bordeaux wine, there is another parallel that can be drawn with 1989 and 1990 Bordeaux. Prices took a large step up in 1899, which precluded more profits being taken in 1900. In fact, even the best chateaux were forced to lower their prices, due to the tepid demand. The same thing happened in 1990 and 1989 as prices were lower for many 1990 wines. The 1900 Bordeaux harvest started, September 19. The picking took place under perfect, hot, dry, sun filled conditions. The wine of the 1900 Bordeaux vintage is not open to debate. Clearly, the majority of tasters who have been fortunate to have tasted 1900 Chateau Margaux agree, that 1900 Margaux is the wine of vintage. Some tasters even call 1900 Chateau Margaux the wine of the century! Interestingly, 1900 Margaux shares commonalities with 1982 Margaux. For example, both vintages share the same weather conditions and had similar yields. However, 1982 Margaux was harvested 4 days earlier.